There is far more to see and do in South Africa than just viewing the wildlife and abundant flora. This beautiful territory is packed with some pretty amazing cities as well. The legendary beaches and ultimately, the nightlife, will transform your visit to South Africa into a one-of-a-kind holiday. Out of all countries spread across the African continent, South Africa is the most developed. Urbanism is thriving here, and so it tourism. People from all around the world choose to come to Cape Town to explore the coastlines, visit the renown vineyards and enjoy the luxurious resorts. Out of all cities that populate South Africa, Cape Town is the most spectacular. It boasts with a wealth of activities, amazing pubs and exclusive accommodation facilities. The hustle and bustle of metropolis bends beautifully with the natural surroundings. Table Mountain rises majestically above the skyline, while the endless beaches take good care of travelers seeking to enjoy a magical seaside escapade. Some say Cape Town is very similar to San Francisco. It is packed with beautiful homes, offices, and shops spanning from the foundation of Table Mountain all the way to the harbors of Table Bay. 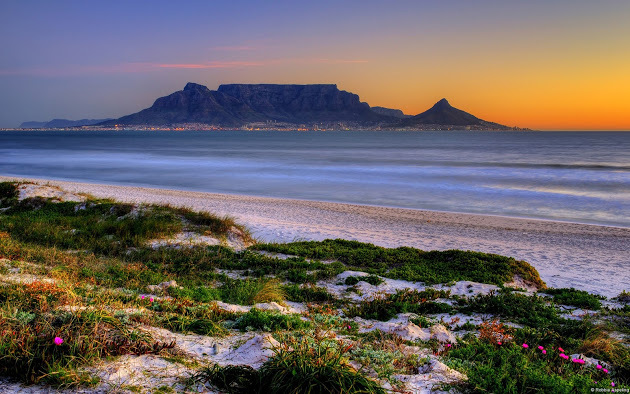 Engulfed in a mix of African culture, western influences and natural beauty, Cape Town has something for everyone. From delicious street food to engaging live performances, from luxurious hotels to private beaches, Cape Town will exceed all your expectations. Travelers to South Africa should know that the country speaks 11 official languages. Even though English is the most common, Afrikaans and Swazi are equally popular. From a cultural point of view, this multicultural country is one of the most diversified in the world. The people here value their customs and traditions a lot, even in the big cities. As far as art is concerned, the nation is home to several of the world’s oldest forms of artwork as evidence by snail shells found in a cave; these had holes in them and were once used as a necklace. Archeologists estimate that the shells date back 75,000 years. Tourists who want to know more about South Africa’s cultural aspect should visit the Cradle of Humankind, a UNESCO World Heritage Site. From here, move on to the Mphebatho Museum. It is positioned in Soulspoort and it is the perfect place to know more about the country’s Bakgatla-ba-Kgafela customs and traditions. Stop by the Limpopo province too, and include a visit to Modjadji Cycad Reserve. Here you’ll know more about the famous Rain Queen of Lobedu. South Africa is packed with a wealth of museums and galleries. This was to be expected considering its diversified cultural aspect. One of the most acclaimed places of interest is located in Johannesburg and it called the Apartheid Museum. You’ll find out a lot of information about Nelson Mandela and his imprisonment while exploring this place; and since we mentioned Nelson Mandela, check out the Mandela House too, in Soweto. Cape Town is also filled with exquisite museum. Several of the most notable are Gold of Africa Museum, the South African Museum and Planetarium, and the Cape Town Holocaust Centre. Leaving aside the cultural aspect of South Africa, it’s time to talk about leisure activities. The country is home to some of the world’s finest beaches. Opened to the Atlantic Ocean, all of them have crystal clear waters; as for the type of sand, it ranges from the smoothest to the most rugged. Clifton Beach on the Western Cape for example, is a must-see. The superb stretch of sand provides numerous resorts you can check out if you want to stay someplace nice. Since we’re in the Western Cape we cannot ignore Camps Bay Beach. The retreats here, the warm weather and mild wind will help you love South Africa and it attractions even more. As you can see there’s more to South Africa than meets the eye. This plentiful territory doesn’t just pride itself with a wild fauna and flora. Extremely developed from an urban point of view and incredibly entertaining too, the cultural and entertainment aspects of the country should also be included on your travel itinerary. About The Author: This article was shared by Peter Smith and CapePortfolios.com!